* ... RIVER WATER: Hard to ask for better weather than what we had this weekend and even harder to believe it was 107 just a week or so ago. The bike trails and parks were full and the river was dotted with kayaks and paddle boards. The water flow in the Kern through town is down and I dread the day when the riverbed reverts to sand and scrub weed. * ... RIP JUDY SCHWOCHO: I was saddened to hear about the death of Judy Schwocho, a long time Bakersfield educator who was active in our community for many years. Judy died peacefully on July 8 after a multi-year battle with cancer of the small intestine. She was just 64 years old. Judy was born in Kansas but grew up in Colorado and New Mexico, where she earned a degree in education at New Mexico State. She then moved to Bakersfield where she taught in the Kern High School District and was active in many organizations, including the Junior League. 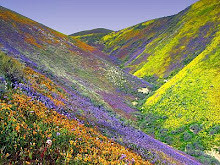 She moved to Ojai after retiring and was active in the community there. Keep her family in your thoughts. * ... NEW JOBS: Matthew N. Malerich has joined the law firm of Chain Cohn and Stiles. Malerich is a graduate of UCLA and the UC San Diego School of Law. He previously worked at Borton Petrini. He will specialize in workers compensation and social security disability. He is the son of local orthopedic surgeon Dr. Matthew Malerich. Elsewhere, Jason Gutierrez has left Kaiser Permanente to become head of marketing at the Bakersfield Museum of Art. 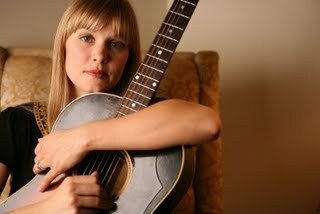 * ... JILL ANDREWS: Had the opportunity last week to host a small "house concert" featuring the beautiful and haunting music of Tennessee-based singer Jill Andrews, who was in between shows in San Diego and Santa Monica. 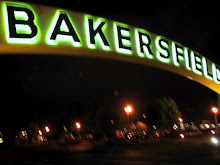 Bakersfield is increasingly able to attract top talent like Andrews, who are more than happy to come to town to pick up a few extra bucks on evenings they're not playing larger venues nearby. Jill and partner Josh Oliver sang for a group of about 50 people at the downtown Metro Galleries on 19th Street, one of our town's more intimate and cozy venues that is a popular spot for weddings and other special events. * ... 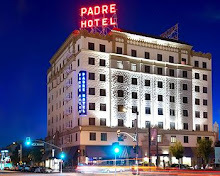 SPOTTED: NBC weatherman and Today Show co-host Al Roker was seen at The Padre Hotel last week. Apparently he was in town doing a piece on the 45th anniversary of The Monkees at the Fox Theater. * ... MEMORY: Bryce Martin wrote to say it was 1974 when the old Stockdale Inn moved to Oak and California and became the Iron Horse. "It did not take the place of the Santa Fee Roundhouse, where I worked on the swing shift. It was moved in two sections and two cranes lifted the sections into place.The Stockdale Inn building had been in a fire and parts of it were charred. When it reopened someone borrowed a menu and we all looked at it. We were amazed at the high prices. The roundhouse was in operation for a few years after the Iron Horse opened." 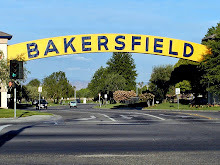 * ... BAKERSFIELDISM: From fellow downtown Rotary member Bruce Bigger: You may be a Bakersfield old timer if "you remember Stockdale Highway as a two-lane road with barbed wire fencing and oak posts, a cattle crossing halfway to Stockdale Country Club and the west side of the town ended at McDonald way."